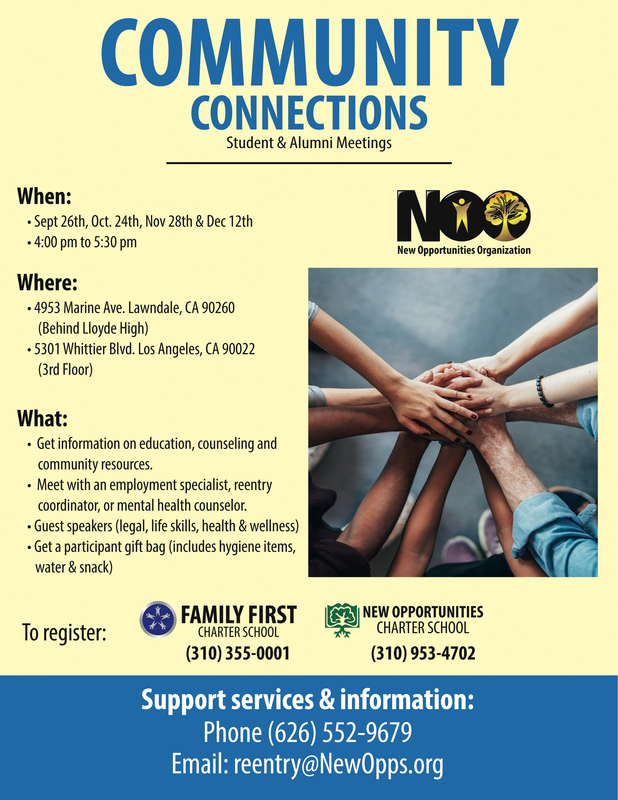 New Opportunities is excited to host our second community connections meeting at both our East La and Lawndale sites. These meetings are meant to offer support to both our current students and our alumni. (the picture below is from our last community connections meeting in lawndale). At Octobers meeting in Lawndale an employment specialist will be available to share about the climate of the employment market and to answer questions. We also have a special guest and partner from Ollin Law, Mr. Zavala, who will be presenting on DACA . At our East La site an employment specialist from the East La Work source center will be available to meet with individuals. Additionally a representative from Alma Family Services will be doing a presentation on Health and Wellness.